Angelic Reiki is a very powerful multi-dimensional healing. 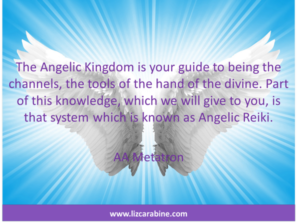 The student is attuned to the angelic kingdom of light and Arch Angel Metatron, who is responsible for overseeing the healing and raising of the earth’s vibration. I teach the original Angelic Reiki as was channelled by Kevin Core from AA Metatron during 2002/03. All students on completion of the training are eligible to join the Angelic Reiki Association. The main requirements to train as a practitioner are an open heart and the desire to work with angels as a channel to deliver healing energies for the highest good of the recipient. The attunements are very powerful and change the practitioner in subtle ways by removing blocked energy, healing old wounds and helping us to live life more fully with less drama. 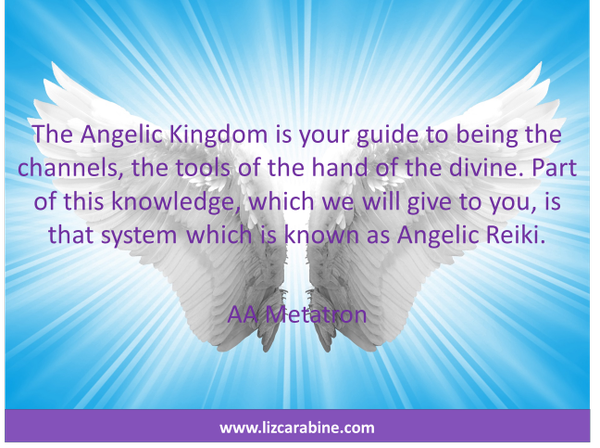 During the course you will be attuned to the angelic kingdom. Taught how to call in and work with healing angels, Arch Angels and other divine beings of light. You will receive healing and guidance from the angels. Learn how to give an angelic reiki treatment and set up your own practice. Please schedule a call with me before booking onto this course. When you click on the button you will be taken to PayPal, where you can make your payment securely.